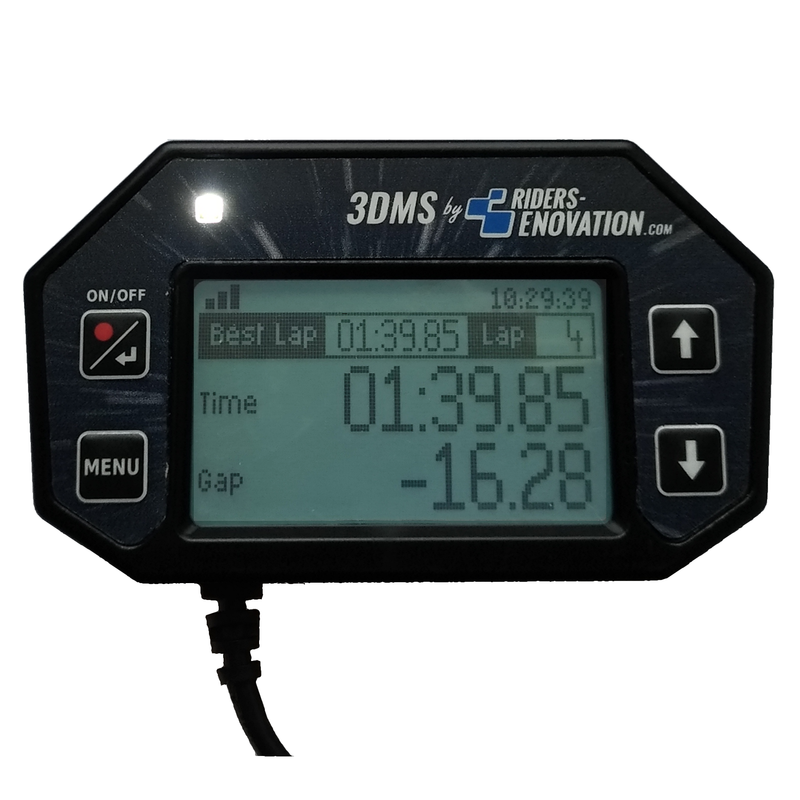 Rider’s E-Novation presents 3DMS: the 1st connected and autonomous electronic device which is able to measure your riding skills on a two-wheeled vehicle on track and on road. 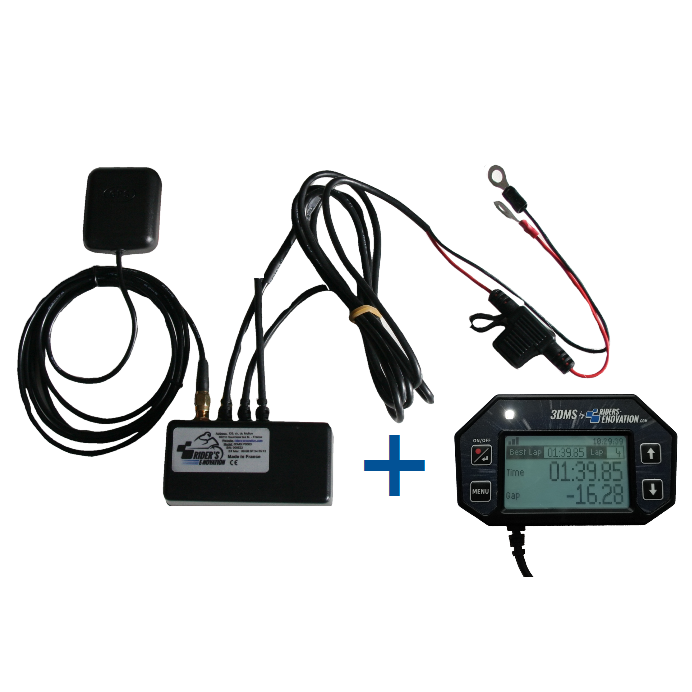 After you mount 3DMS on your vehicle, you need to calibrate your 3DMS, just one time. 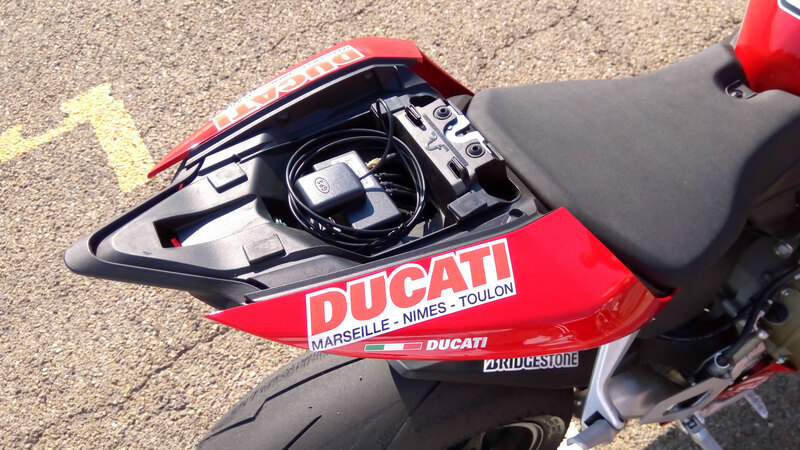 Now equipped with your 3DMS, you can record any riding session on track or on road. – lap timing by GPS (and magnetic sensor in option). The new 3DMS Display allows you to visualise your best lap and last lap timing, the lean angle of your vehicle, its speed, its acceleration and deceleration/braking forces in real time. A LED flashs when you improve your lap timing. Display software interface is now available in English, Spanish and French. With 3DMS Manager software you can connect your 3DMS to a Windows device and download your datas. – your performance informations (time, speed, acceleration/deceleration, lean angle) depending on the cursor position on your path. edit maps characteristics: track width, map orientation, positions and number of intermediates, magnetic tapes. create your own maps from a circuit drawn with Google Earth (**) or from a recording made with your 3DMS. – record your video with the overlayed measurements and share it. (*) Timing by magnetic sensor is possible only if 3DMS is equipped with an optional magnetic sensor. (**) Google Earth is a software owned by Google.